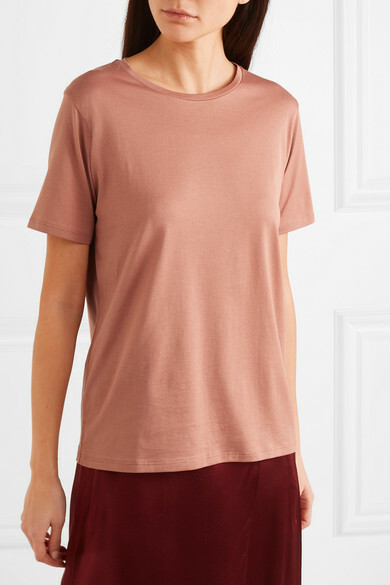 Created in 2013 by Esteban Saba and his wife Petra Brichnacova, Handvaerk creates reliable staples that form the foundation of your wardrobe - each one is made from the highest quality natural fabrics. 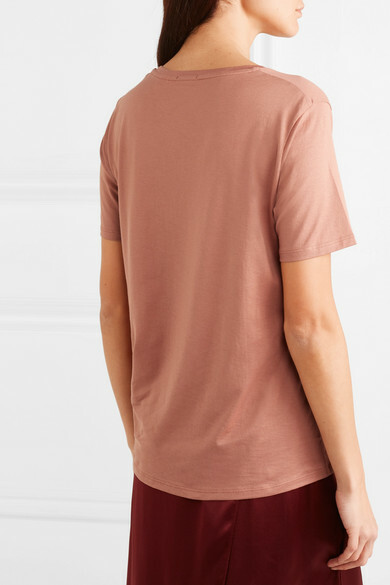 This T-shirt is cut from Pima cotton-jersey that feels so soft against the skin and has a classic crew neckline. 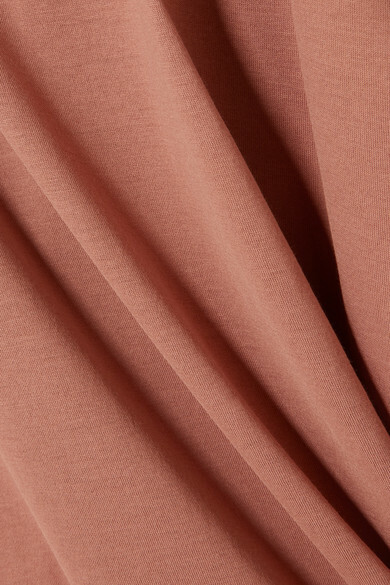 The warm antique-rose hue complements all skin tones. Shown here with: Vince Skirt, Loewe Shoulder bag, BOYY Slides.